Discover Your Goal is translation of the author's most successful book. In a simple and loving way, the book presents many understood and solved stories from the author’s counseling practice and her personal life, stories that are real and are inviting the readers to rethink their life. It is a general insight into understanding life as a path and the opportunity to express ourselves. Life is full of opportunities and lessons. Our life is the result of the highest creation of each of us. 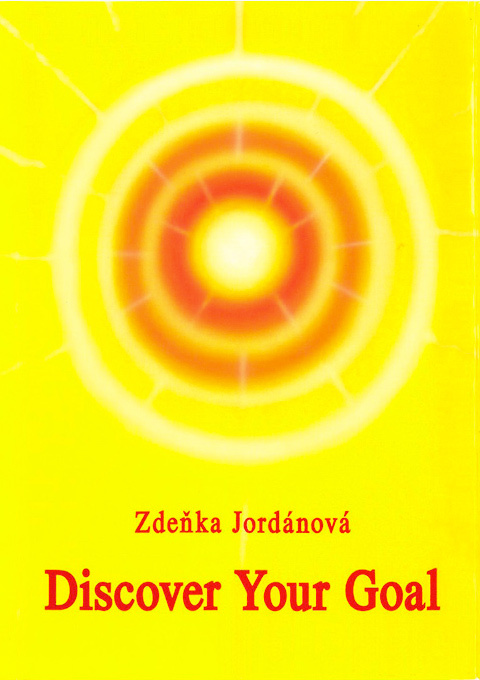 Zdenka says: “Don’t give up – create! Each one of us has our own unique task to do, which on some level we know. If so far you are not feeling fulfilled, move on. Keep on moving on until you find yourself excited about and fascinated by your potential. Express yourself! Each of your thoughts is part of the thoughts of all people. Every one of your thoughts creates and influences the world. That is why you are an important part of this world. You have something to say and the world is waiting for you! Discover your goal! Become the star of your life! Walk in your own light and others will join you too! So, my dear friends, there’s no such thing as a coincidence because everything is simply a reaction to our own actions and the Universe is very creative in the ways it informs us of what we have done. If we're not willing to perceive our “actions,” then we have the feeling that things are just “happening,” or arriving, or coming together by chance, etc.. If my dear dentist willingly offers her own finger (which she herself “injured”) as a problem, then this action, interpreted by universal laws, causes a reaction. Consequently, she gets the opportunity to see what it would be like being a member of a group of people who don’t have fingers. The choice is up to you! Sometimes we are able to perceive/distinguish so-called accidents as the warning signs which they truly are. They allow us to look into the reality we are now in the process of creating. But even seeing these signs doesn’t help most people gain understanding. One Arabian proverb says that if we make a mistake once, it doesn’t mean that we’ll necessarily make it again; but, if we make the same mistake a second time, we’re sure to make it a third time because it has already become entrenched in us. However, not all of us are willing to learn from our experiences and not all of us are willing to contemplate upon a specific situation that has repeated itself a number of times in life. Take tripping over the same doorstep for the third time: Some people may ultimately decide to lift their foot, but others will prefer to remove the doorstep. Then maybe they will start tripping over another doorstep - the option of lifting their foot finally hits them once they realize that the next doorstep can’t be removed. It could go either way (or even another way altogether), but in both cases it’s important to perceive all the messages around us and integrate them into our lives because all of them are messages about us, for us. Notice everything around you because nothing is a coincidence, it is all simply reactions to our conscious and subconscious actions, all of these are “lessons” and messages for us.